Need to show links inside a popup? 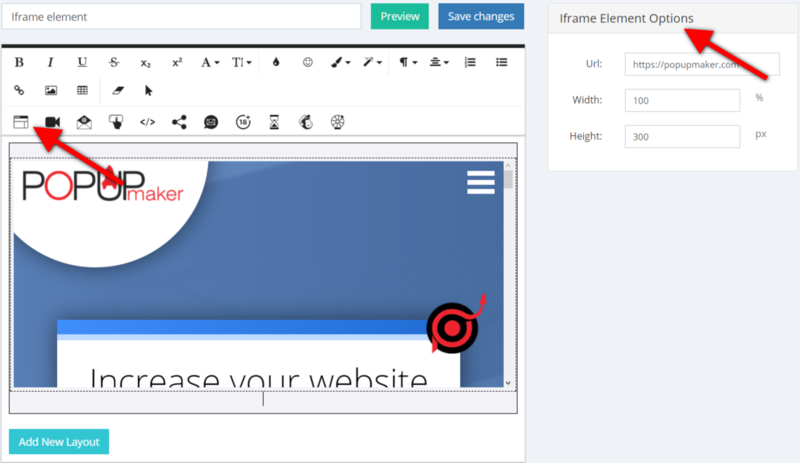 Use the Iframe popup type and show your sites, video, and any link you wish inside a popup. Let&apos;s check the options one by one! URL - Enter the URL of the site you want to display in the Iframe. Note: Websites with cross-domain policy, do not provide permission to be shown in an Iframe, won&apos;t work if you try to use such links. Set up the popup sizing - Set the Width and the Height for your popup.